Guacamole is a healthy keto dip that tastes divine, and it takes so little time to prepare and by the Aztecs in what is now Mexico. You can serve it with cucumber slices, celery sticks, or different colors pepper sticks. I enjoy eating guacamole with my low carb/ keto friendly Cheese Chips. The main ingredient of this recipe is Avocado which as you may already know has a lot of great health benefits! It has a lot of heart-healthy fatty acids. Avocado has a lot of soluble fiber. Avocado will help you absorb nutrients from salads easier. Avocado’s full of antioxidants that will protect your eyes. Avocado’s a powerful weight loss food. 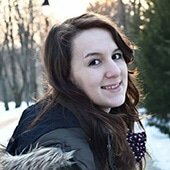 Wow, too many Avocado words in this post but in keto, Avocado it’s never enough.vSo, to make a perfect guacamole dip you should find the perfect avocado and adjust the lemon juice quantity. Choose avocados, that yield a bit to a gentle squeeze but are not mushy and brown inside. You will need 2 tsp lemon juice per mashed avocado. I love this recipe because it’s fast to make, satisfying and really nutritious. It will take you less than 10 minutes to make. The harder part for me it’s cutting the onion (I instantly start crying). Well, I think those are joy tears (hahaha kidding). If you, guys have any tips on how to cut onions without rivers going down my face, they are very welcome. Then the things get easy. 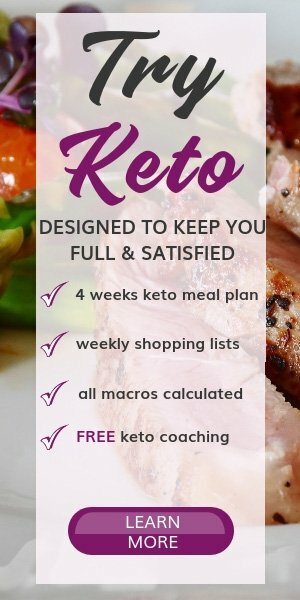 Mash all the ingredients together and enjoy a perfect keto meal. Here’s the recipe! Great for those busy days when life kicks in and cooking it’s on the end of your to do lists. 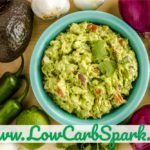 Guacamole is a mexican dish that is keto friendly. Avocado is high in heart-friendly healthy fats and has many health benefits. If you are not a huge avocado fan, try my guacamole dish, you wil love it. 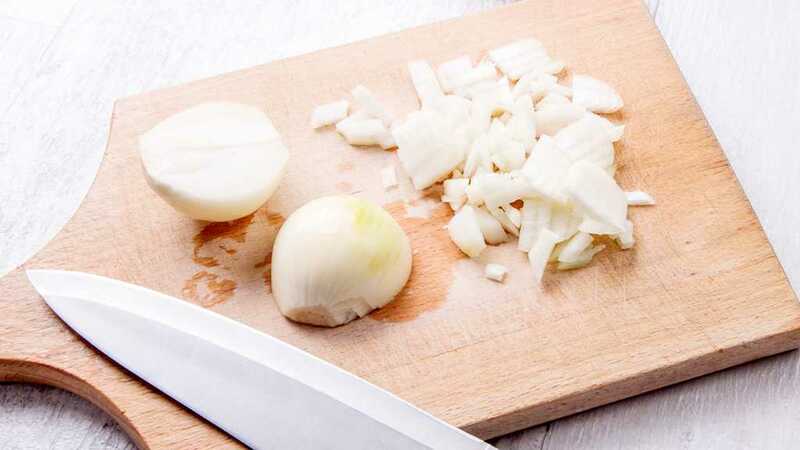 Start by finely chopping 1/2 of a small onion. You will need about 1/4 of a cup. Let the onion sit in cold water to get rid of the raw onion taste. Cut the avocado in half and scoop out the pulp into a big bowl. Mash the avocado until desired consistency. I prefer a chunky avocado dip. Add the lemon juice, the chopped onion and tomato. Add the fresh cilantro and gently mash all the ingredients. You can serve it immediately. Enjoy! Keep your mouth open when cutting your onion and your eyes will not tear up.